How to Negotiate a Salvage Car Price Like a Pro! One of the reasons people buy a salvage car is that it costs a lot lesser than a new car. But to get a good deal, you have got to be a good negotiator. So, what if you are one of those people who don’t like to haggle? Well, negotiating doesn’t have to be a grueling experience; it can be fun and exciting provided you follow a few simple tips. Here are a few negotiation tips that you must follow when buying a salvage car for sale. Rule number one – know your numbers before you attend a salvage cars sale or visit an auto auction website, and start negotiating the price of a used car. Having an idea of the current market trend will not only help you negotiate with more conviction, but even the seller/dealer will give you a price that’s more reasonable. Most people who aren’t too comfortable at negotiating face to face, do a great job over the phone. 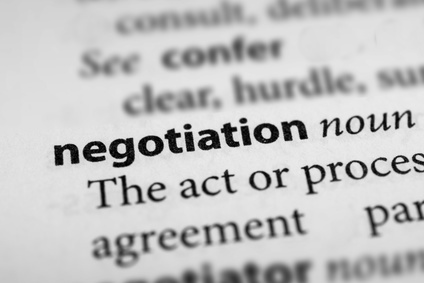 If you aren’t very good at negotiating prices then one of the ways to get a better deal is to start the negotiation process over the first phone call. Make sure you establish yourself as someone who would buy only if they got a good deal. Let the seller/dealer know that you are not in a hurry. Give them your number and ask them to call you when they find a car that suits your requirement and is well within your budget. An inspection not only helps you determine if a used car is worth buying, but it also helps you negotiate better, in case the car has any minor issues that need repair. For example, if during the inspection you find out that the air conditioner is not working properly, you may ask the seller to get it fixed or lower the price. Never let the dealer know that you are in love with a used car you just test drove, and that you wouldn’t mind paying a few extra bucks for it. No matter how much you liked a particular car, don’t budge if you think the asking price is not reasonable.